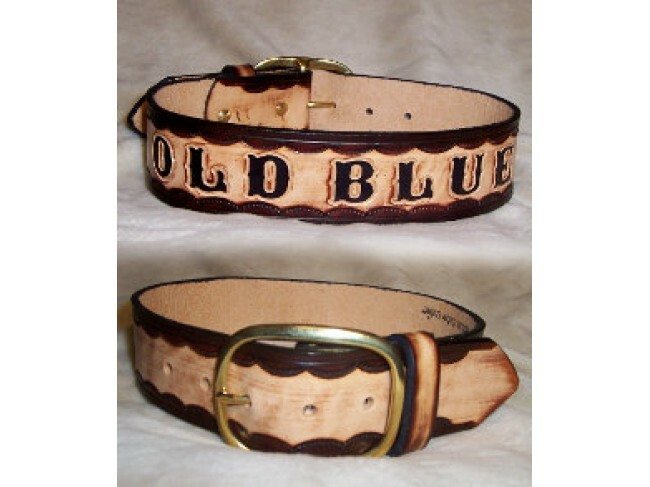 Collars can be made in any length, and come with D-rings. 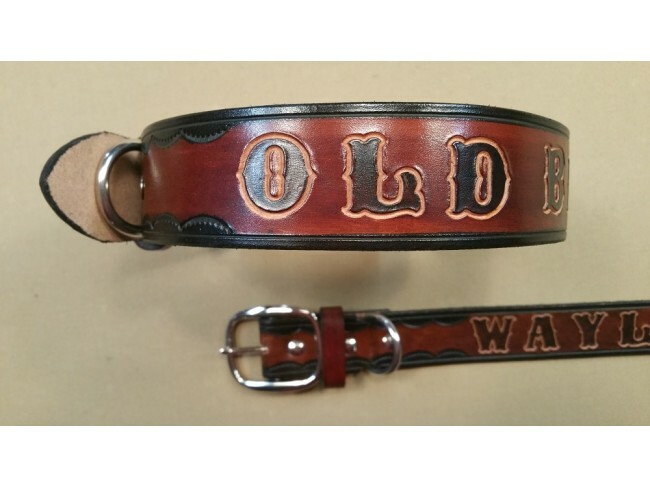 Just choose width and color, and you can personalize them with the name of your pooch or phone number. Collar Width --- Please Select --- 1-3/4" 1-1/4" 1-1/2"
Collar Length --- Please Select --- 8" 10" 12" 14" 16" 18" 20" 22" 24" 26" 28" 30"